@Staff is support for gif avatars ever coming back? I vaguely remember this being covered a while ago ... but it has been a while. A6_Foul_Out, jklmnop and Metallica like this. I'm fairly certain God avatars are still a thing unless I can only do my pusheen one because I'm staff. FireMonkey, jklmnop and Jaded like this. 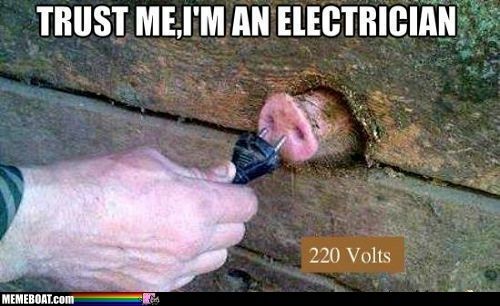 I will poke you in your piggy snout so help me gif. okay that was on purpose but let's pretend it wasnt. FireMonkey, jklmnop and mboone73 like this. nopoopwarez, FireMonkey, Jaded and 1 other person like this. I appear to have killed the thread. LowCalCalzone and FireMonkey like this. LowCalCalzone, FireMonkey and Metallica like this. A6_Foul_Out, FireMonkey and jklmnop like this. Metallica and FireMonkey like this. I really do find those posts hilarious, but I might also be in an especially giddy mood because I'm taking a break from the current god-awful iconary hits. g'night every-body, see you tomorrow. This week, ol' Mturk did seem a bit better to me. I didn't get to focus too much on it this afternoon/evening, unfortunately. Maybe next week will be better, too. jklmnop, cb456 and turkleton like this.